The race for the I-League title is as competitive as it can get this season with five clubs, Bengaluru FC, Salgaocar, Pune FC, Sporting Clube de Goa and East Bengal all jostling to lift the countryai??i? ?s top domestic trophy. 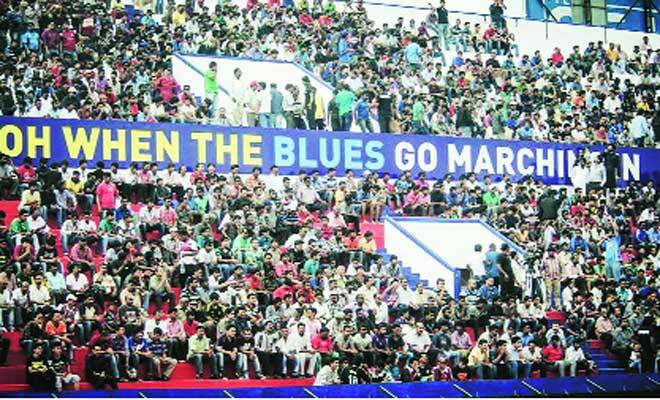 The present campaign is witnessing the most open I-League race in years and it is extremely hard to predict which club will have the final laugh. While current league leaders Bengaluru FC are favourites to win the title, it is not as easy as it seems as the race for the I-League crown is getting exciting and harder by each passing round. So letai??i? ?s take a quick glance at this seasonai??i? ?s I-League contenders. The Blues’ march to the title won’t be easy. First up are Bengaluru FC. The club from Karnataka have impressed one and all in their debut season in the I-League. Bengaluru FC were drafted in automatically in the I-League by the AIFF through their policy of corporate teams instead of being promoted from the second division this term. However, the club have hit the ground running immediately and have remained top of the table for the better part of the season. Roping in former Manchester United youth footballer Ashley Westwood as the head coach in addition to signing players like Sunil Chhetri, Robin Singh, John Johnson and Sean Rooney have done wonders for the club. Bengaluru FCAi?? are currently three points clear at the top of the standings with 37 points from 20 games. But an unlikely 3-0 loss to Shillong Lajong in their last game have opened up the race for the title. With just four fixtures remaining in their campaign, Bengaluru FC can finish with maximum 49 points, which will also ensure them of the championship. But out of their final four games, which are against Pune FC, Mohun Bagan, Dempo and Sporting Clube de Goa, the last three are away matches. So, this season may be a case of ai?? ?so near, yet so farai??? for the I-League debutants. 2010/11 I-League champions Salgaocar are second in the standings with 34 points from 20 matches. Derrick Pereiraai??i? ?s side have managed to surge up the table after picking up 16 points from their last six outings. But the Greens would be mightily disappointed following their goalless draw with relegation fighters United Sports at the weekend which did not allow them to close the gap with leaders Bengalru FC. Salgaocar also have four games remaining this season with Rangdajied United (A), Pune FC (H), Sporting Clube de Goa (H) and Churchill Brothers (A) being their upcoming opponents. The Goan club can finish with maximum 46 points but will also have to look forward to Bengaluru FC dropping points during the final run-in of the season to get their hands on the coveted trophy. Despite their poor form, Pune FC are still in the running for the title. Pune FC, who presently find themselves third in the I-League with 30 points from 19 matches, are winless in their last three league games. A 3-2 loss to strugglers Churchill Brothers on Sunday seriously dented their I-League aspirations. The Red Lizardsai??i?? involvement in the AFC Cup is also coming as a distraction for them in the crucial juncture of the I-League. Pune FC, who have five league games remaining in the season, may finish with maximum 45 points. However, their final five fixtures are tough to say the least. Mike Snoeiai??i? ?s side will have to tackle Bengaluru FC (A), Salgaocar (H), Dempo (H)and East Bengal twice. So it will take a monumental effort to better their second place finish last term, let alone winning the competition. Like Pune FC, Sporting Clube de Goaai??i? 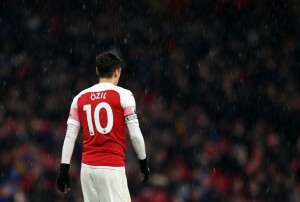 ?s title hopes were also dealt with a big blow this past weekend. The Flaming Orange unexpectedly went down 3-1 to Mohun Bagan which all but ended their hope of a maiden I-League title. With 29 points from 19 games, Sporting Clube de Goa can pick up a maximum of 44 points. But even manager Oscar Bruzon is aware that picking up the 15 points from their final five games will not be an easy task. The Goan club are due to face East Bengal and Rangdajied United in away matches, before welcoming Churchill Brothers, Salgaocar and Bengaluru FC to the Fatorda Stadium. So, Sporting only have an outside chance of winning their first I-League title this term and should instead focus on finishing higher than their current fourth-place standing. 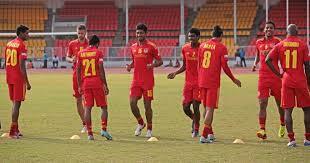 Despite being in the seventh spot, East Bengal are well and truly in the running for the I-League. The Kolkata giants, who were third last season, have racked up 28 points from 18 matches. But what is more important is that the reigning CFL champions have six games remaining in the season, out of which four will be played at the Yuva Bharati Krirangan in Kolkata. Armando Colacoai??i? ?s side were struggling in the I-League but received a huge boost in their bid for the title, courtesy of their 3-1 win over Rangdajied United in the previous round, coupled with Bengaluru FCai??i? ?s loss. Although they were held to a 2-2 draw by Mumbai FC on Wednesday, East Bengal can finish the campaign with maximum 46 points, close to Bengaluru FCai??i? ?s maximum possible of 49. The Red and Goldai??i? ?s remaining home fixtures are with Sporting Clube de Goa, Pune FC. East Bengalai??i? ?s away games against Mohammedan Sporting and United Sports can be classified as home games as they will be held at the YBK. On the other hand, the club will face Pune FC and Churchill Brothers on the road. But irrespective of having a few games in their hand, East Bengal supporters are not too enthusiastic about their side clinching the I-League as the only thing which has remained consistent with them is their inconsistency this season. Apart from the above mentioned five clubs, even Shillong Lajong and Dempo have a mathematical chance of winning the I-League, but the core competition for the title revolves around Bengaluru FC, Salgaocar, Pune FC and East Bengal. Yes, India are 152ndAi? ?in the FIFA World Rankings, yes, India have miles to go before even dreaming about playing in the World Cup; but a super competitive I-League is definitely a good advertisement for Indian football.